Steady Steps Plus groups are fun social classes aimed at people who have already undertaken a Steady Steps Falls Prevention Programme. These classes will help maintain balance, coordination and mobility. Whilst the class is aimed at people who have already undertaken a Steady Steps programme, or similar, it may also be suitable for you if you're steady on your feet but have a concern and wish to maintain what you've got. 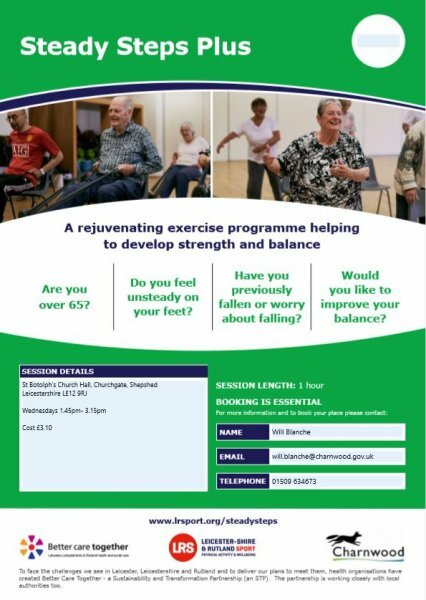 A fun social class aimed at people who have already undertaken a Steady Steps Falls Prevention Programme. These classes will help maintain balance, coordination and mobility.